Will you take $50 including shipping to FL? for sale : usa Lefty Kreh TFO Fly Rod Outfit-$135-New price! Do you still have this rod for sale? Back in the day, I sold more than 10,000 of these.... many of the parts can be sourced through the internet or fixed by a welder. Engines are simple and the BS Vanguard was my favorite engine. If you need transmission parts, you may wind up in trouble, but the transmissions were rather hardy other than shift pins that could shear when forced into gear. The model number of this vehicle would have been a MAX IV-600T. You can google "max 6x6 parts" and find most parts as the company inventory was sold to a guy in the midwest and he still sells the parts. In 2004 this vehicle would have sold for nearly $15K, what these things can go through in a swamp in remarkable. Do the front and rear axles have bearing cages on them? Do you have a set of 26" tires/wheels for it? I live, work and fish out of Marathon. The fishing is good in January. The species we would go after depends on: 1 what you want to catch and 2. what the wind/ocean is doing. To the south, Tuna and sailfish are in the open ocean, but the tradewinds are a persistent 20 mph. The reef knocks the waves down a bit and with a decent current we can fill the limit with yellow tail and mutton snappers, we can also target sharks and 'cuda for fun. To the north, in the Gulf, several wrecks offer fantastic action on mangrove snapper, Spanish mackerel and we can occasionally find sea trout on the grass beds. 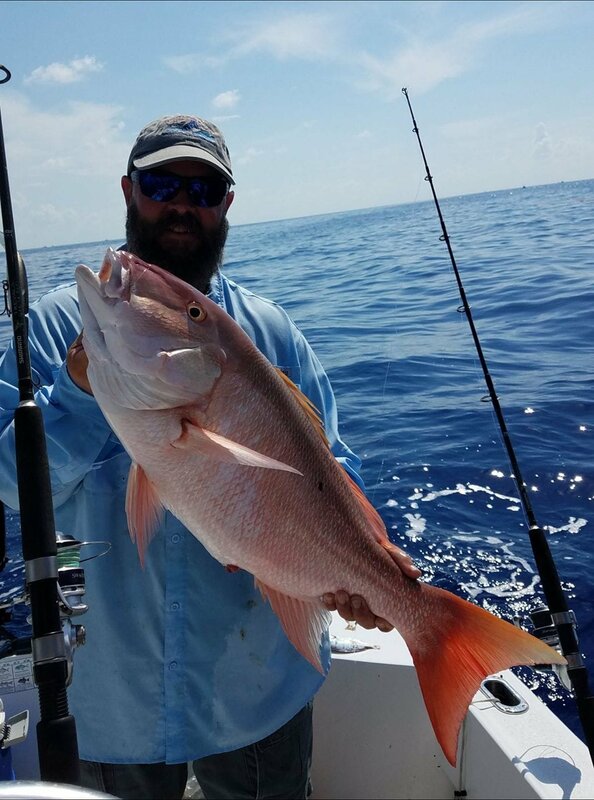 The gulf offers non stop action and the skill is getting the bait to the target fish before a different species grabs it. The Gulf waters are on the leeward side of Marathon and are fishable most days as the prevailing wind here is ESE. The long and short of it is, the fishing is good here. I would run it a bit more, but the smart thing to do is call Mercury in the morning and ask them. I have 485 hours on my 2 year old 150 four strokes. I will tell you they are ok until about 400 hours then issues begin. The prop chatter really bugs me at idle, it does get better if you upgrade the hubs. $50 plus shipping or I'm making them into an artificial reef! Will sell for $75 including shipping. I have a Brass Beef, still in package. I requested a series of gold (Brass) lures and Tom made this one, and a yellow one. I also had a few geezers (also my design) in brass. I am going to check my other stash to see if I have any that are not in the package. For sale 2 triple rod holder bases to Deluxe Scotty rod holders 2 Scotty rod holders with traditional two-way bases two flush mount rod holder bases one Scotty downrigger mounting plate. Sold as a complete lot $75.00 plus shipping. See pictures. Call or text for details. 1st year of the ESLO Derby?